UPDATED: Sat., Feb. 24, 2018, 4:31 p.m.
GANGNEUNG, South Korea – Move over, Mike Eruzione. John Shuster delivered another Miracle on Ice for the Americans, only this one came with brooms instead of hockey sticks. The team that became a cultural phenomenon back home – hey, even Mr. T is a fan – delivered the ultimate prize on the biggest stage, capturing the gold medal with a riveting upset of Sweden. Enough with the jokes about sweeping and rocks and a bunch of beer-swilling guys playing a game better suited for a pub. This sport is like any other at the Winter Olympics – played by highly trained athletes who care deeply about their craft, filled with stories of dreams and disappointment and redemption. He glided along the ice on a knee, deftly let go of the rock, and watched it send two Swedish stones careening away from the target circle. The Americans wound up with the five closest rocks to the bull’s-eye, a five-point round that is essentially unheard of at this level of competition. Only one other team, perennial power Canada, has delivered a higher-scoring end in a gold-medal match at the Olympics. But for the uninitiated – essentially, all of us – Shuster said it was one of the easiest shots he’s had, thanks to the work of his three teammates and a high-risk attempt by the Swedes that missed the mark by about an inch. The final: United States 10, Sweden 7. While nothing will ever compare to the real Miracle on Ice – a bunch of college kids beating the mighty Soviets in hockey at the 1980 Lake Placid Games, with Eruzione scoring the winning goal – this will rank right up there in the curling world. 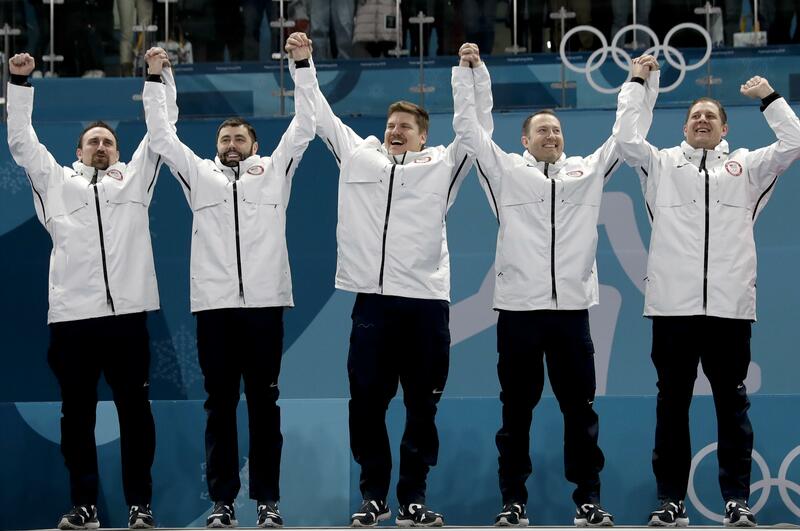 The Americans had captured only one medal in Olympic competition (a bronze in 2006) and they weren’t viewed as a medal contender at the Pyeongchang Games. Especially when they lost four of their first six matches in group play, putting the team on the brink of elimination. Yeah, he was part of that bronze medal-winning squad in Turin, but he’d been dealt much more heartache by the Winter Games. He skipped the 2010 team that lost seven of nine matches. He skipped again in 2014 when the U.S. posted the same dismal mark. His Olympic career appeared over when he didn’t even get picked for the U.S. high-performance program, which was supposed to provide the next Olympic foursome. The next morning, he happened to read a story on Facebook about speedskater Dan Jansen, who shook off disappointment and tragedy to win a gold medal in his final Olympic race. As the wins piled up, these guys began to draw more and more attention back home. Mr. T stayed up ’til all hours of the night to watch. NFL stars Aaron Rodgers and J.J. Watt tweeted their support. They’ll never really know how much it meant to Shuster and his teammates. Well, he has at least one new fan. Published: Feb. 24, 2018, 8:48 a.m. Updated: Feb. 24, 2018, 4:31 p.m.